Earlier today we heard rumors of two new Nokia phones that could be launching in early 2017, and now things have got a lot more official, with Finnish company HMD formally announcing its entry into the smartphone market under the Nokia name. The company plans to launch Nokia-branded feature phones, tablets and smartphones, the latter of which will run Android, with its first smartphones set to land in the first half of 2017. That sounds good to us, but based on current rumors its initial output might be mid-range rather than high-end. 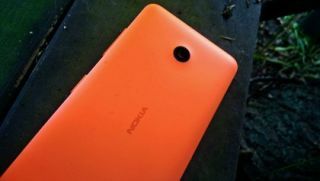 That said, a mysterious Nokia 5320 was benchmarked a few months ago with flagship specs, so the Nokia range might soon be able to cater to everyone. HMD is also going to extend its presence on the huge feature phone market using the Nokia name, which is likely to have a big impact on sales given the old Finnish brand used to be the main vendor of cheap non-smartphones globally. Beyond that vague first half of 2017 window we don’t know when we’ll start seeing new Nokia smartphones though, but there’s a chance they’ll show up at MWC 2017 in late February.